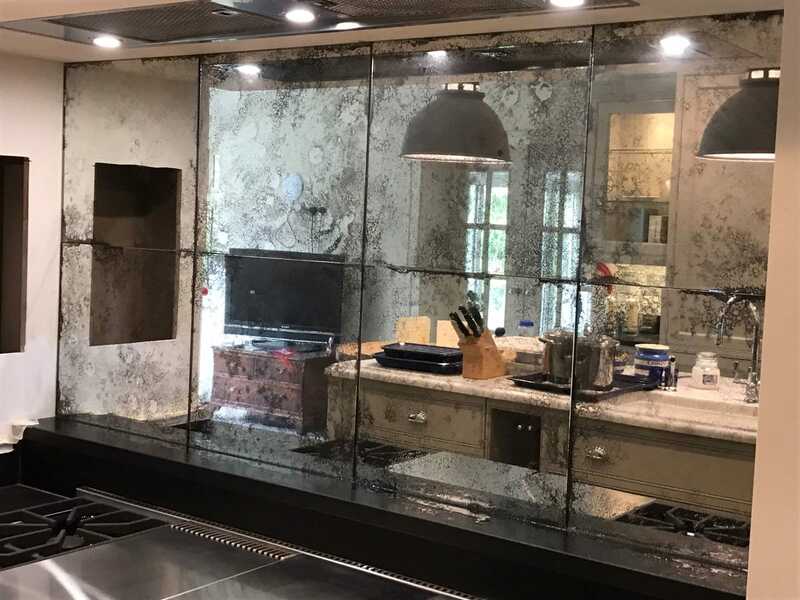 Antique Mirror Glass tiles have become a highly sought after and one of the most popular layout configurations for feature walls, splashbacks and various cladding projects. Saligo design custom manufactures a myriad of Antique Mirror Glass styles and contemporary patterned mirror designs in tiled format. This can be used for a variety of applications where toughening is a requirement or a recommendation for health and safety considerations, such as splash backs in kitchens and bathrooms or in vulnerable public areas. 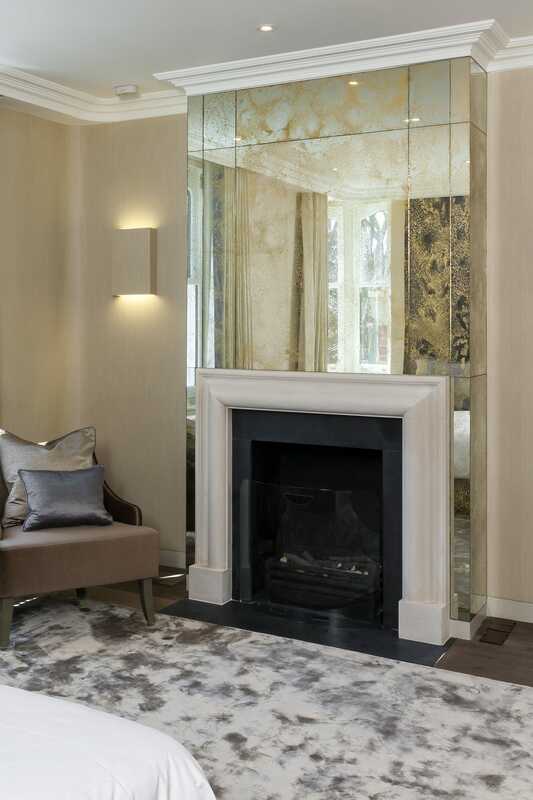 The glass is cut to size (with polished or bevelled edges) before it is toughened, and then it is hand-silvered and sealed with copper and paint. 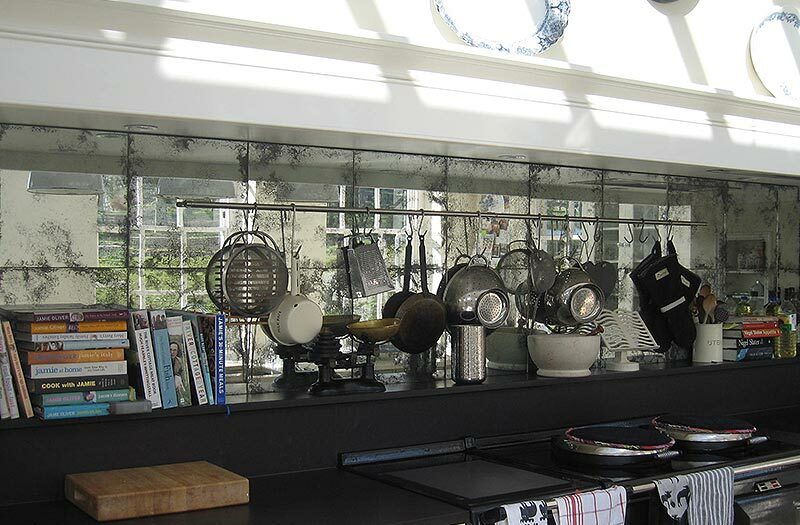 Original Vintage style antique mirror glass tiles in a private residence in Shepherds Hill, Sussex. Each tile is unique to itself (in terms of the distressing intensity) and features naturally concentrated edges throughout with a silver/chrome hanging rail. Please note: the toughening process will create slight ripples and imperfections on the mirrored surface which is more apparent on bigger panels than smaller ones. Interested in an antique mirror tile project?